The Marine Corps F-35B, Lightning II, conducted its first combat strikes in the U.S. Central Command area of responsability in support of Operation Freedom’s Sentinel in Afghanistan, Sept. 27, 2018. 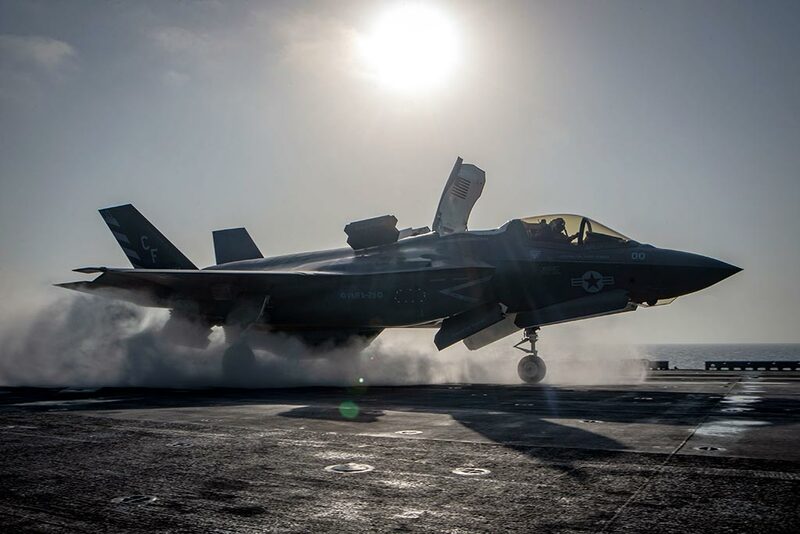 During this mission the F-35B of US Marine Fighter Attack Squadron 211 “Wake Island Avengers” conducted an air strike in support of ground clearance operations, and the strike was deemed successful by the ground force commander. The 13th Marine Expeditionary Unit (MEU) is the first combat-deployed MEU to replace the AV-8B Harrier with the F-35B Lightning II. 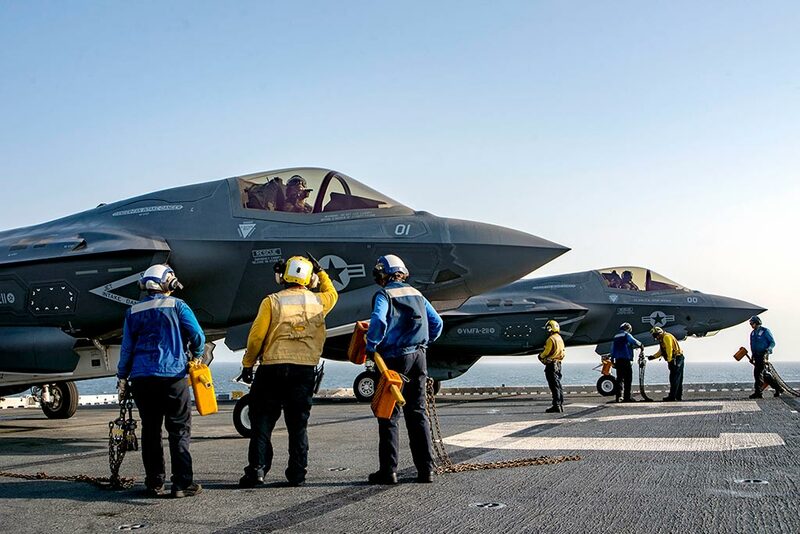 The F-35Bs from Marine Fighter Attack Squadron 211 are currently embarked on the Wasp-class amphibious assault ship USS Essex (LHD 2) as part of Essex Amphibious Ready Group. 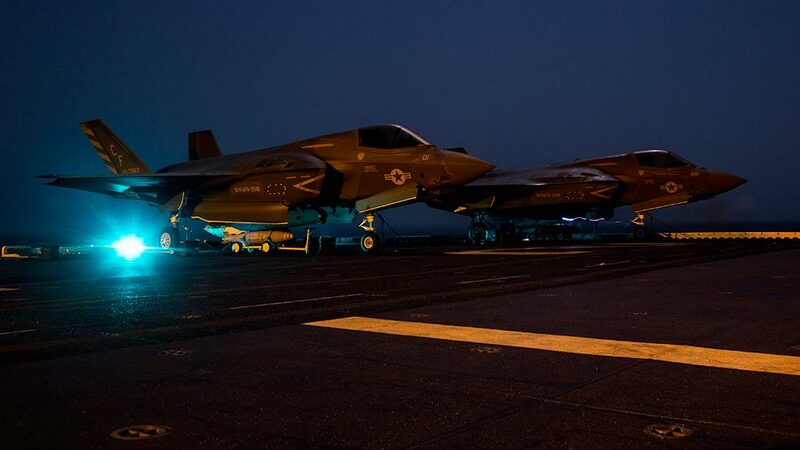 As seen in the night image the F-35B used for the strikes were equipped with the externally mounted GAU-22 25mm gun pod in addition to the weapons in the internal bays that should be the GBU-32 1000-lb JDAM (Joind Direct Attack Munitions).